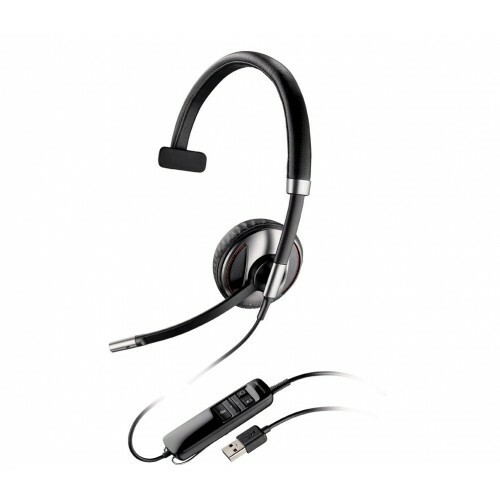 A versatile unified communications headset providing high-­quality wideband audio, the Plantronics Blackwire C710 M monaural headset features both wireless Bluetooth connectivity for use with mobile devices as well as corded USB connectivity to computers. This version is certified for use with Microsoft Lync. 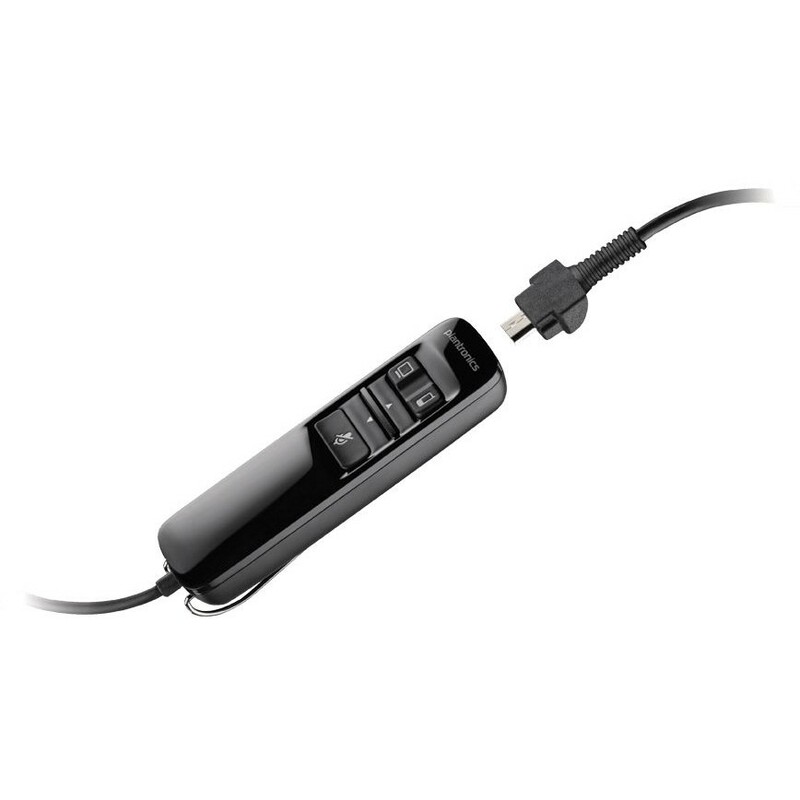 Designed with ease of use in mind, the Plantronics Blackwire C710 M features plug-­and-­play connectivity to any computer with no additional drivers required, and you can simultaneously connect it to any mobile device with Bluetooth. Additionally, smart sensor technology allows you to answer phone calls simply by putting the headset on, and by taking it off, you can also pause playback from any mobile device connected via Bluetooth. Featuring wideband audio and a noise-­cancelling microphone, the Plantronics Blackwire C710 M helps to ensure crystal-­clear phone conversations. Ideal for conference calls and more, the headset features a dynamic equaliser to optimise audio clarity depending on what you are using it for, while the A2DP Bluetooth profile allows you to listen to streaming media from any Bluetooth- enabled device. The Plantronics Blackwire C710 M is ideal for businesses using both mobile and VoIP telephony systems.